Do you need some immigration information about a certain situation? Is your loved one unable to come into the country? Are you afraid you’re going to get deported? Having trouble applying for a visa? If you’re nodding ‘yes’, then Zohar Law PLLC can help you. As an immigration lawyer, we know the proper immigration information that you need to ensure you stay in the country. Based on a desire to keep families together and help those following their dreams to a better life, Zohar Law PLLC can assist you by being a law firm that you can depend on for all of your immigration information. We specialize in immigration law, government policies, and regarding visas so you can live your life in the country of freedom. To see if we’re the right fit for you, we’ve compiled a list of services to match up with your goals. 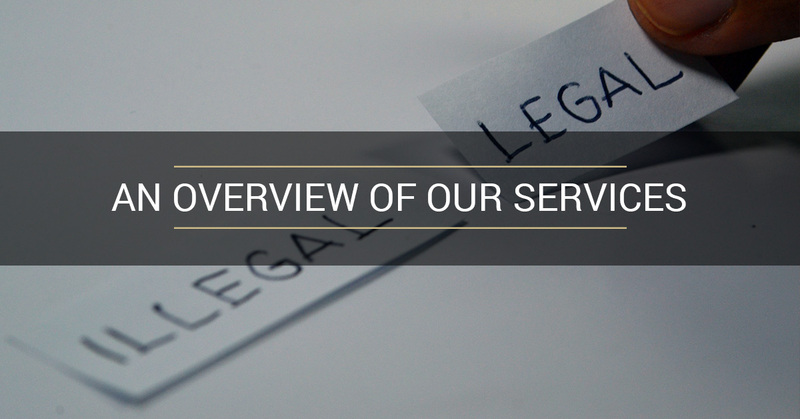 Whether you’re facing a removal proceeding or you are in need of learning more information about green cards, our services will help guide you to make the right decision for your future. A green card will give you the permanency you need to stay in the United States to live or to work. With a green card, you’ll be granted the ability to be a citizen. There are family-based green cards that we can help you with as well. If you’re a woman who is being mistreated, then a VAWA green card will stay in this country and be safe. Protected by the Violence Against Women Act, you’ll have the necessary means to stay in the United States without your abuser’s assistance. Continue reading about VAWA green cards on our site. This visa is specifically geared toward helping children who have been abused, neglected, mistreated, and abandoned. These children need assistance in becoming a citizen without a parent due to separation or another circumstance. Take the time to learn more about Special Immigrant Juvenile Status to see if it’s right for you. This type of visa is for people who are not looking to stay in the U.S. but are here on a temporary basis. This includes tourism, temporary work, studies, business arrangements, and medical treatment. If you’re being asked to leave the country, then the first thing you need to know is that nothing can happen without a hearing. Deportation, or removal as it’s sometimes called, is a very real possibility when you’re an immigrant, which is why it’s important that you have a reliable immigration lawyer who is looking out for you. To become a legal citizen of the U.S., you need to go through a process that can be lengthy if you don’t hire a dependable lawyer. Learn more about naturalization and citizenship. This is a non-immigrant type visa for those who want to employ a worker in a special field who is outside the U.S. If you’re bringing over a fiancé(e) who is foreign-born, then this is the right visa for you. This visa allows a religious person to come to the U.S. for employment. If you’re seeking refugee from another country, then you can be protected from going back to your home country by the U.S. This waiver helps to reduce the amount of time that families may be separated due to visa immigration interviews. Learn more about Waivers Of Ineligibility. A service that will help you gain the better life that you came here for as well as offer immigration information to those living abroad. We can help you obtain the specific type of visa that you will best benefit you. There are several types of visas, which is why it’s important to find the right one for you or a loved one. If you’re an immigrant in need of further information, then take the time to contact us by filling out the form below.